He began practicing at age five in India. He was initiated by Swami Veda Bharati of the Himalayas into the highest Himalayan tradition. He created his own unique style of Yoga called KRIYOGA. The world ‘Kri means ‘new life”. His talents for both Yoga and motivating and organizing people were obvious and his determination led him on a journey to bring new Yoga systems to the world. 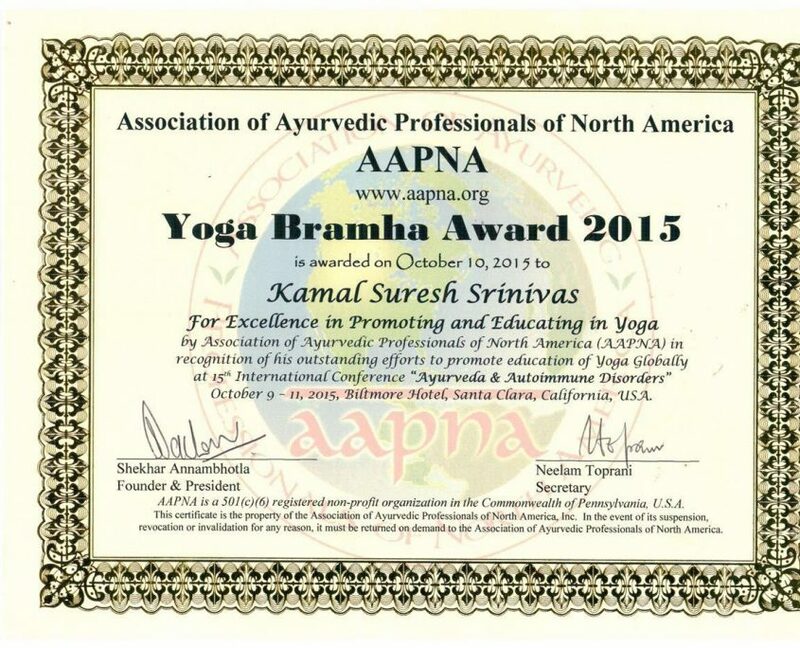 For the past 2 decades he has mastered many styles of Yoga i.e., Hatha Yoga, Raja Yoga, Ashtanga Yoga Kundalini yoga, Himalayan meditation and Philosophy of Yoga. And also his mastery of martial arts (he is a 5Dan Black Belt) and various fitness science’s helped him to incorporate additional ways to strengthen the body and mind. His Kriyoga System has made him as one of the most successful and famous Yoga Master in World. He eventually travelled to Singapore (1994) and with hard work and determination he found success. Soon he was gracing scores of billboards in Asia as a unique and new style Yoga Master. He has become a mainstay of magazines, is Hong Kong’s first New Age Wonder and has appeared numerous times on network television in Asia. He is the pioneer in bringing yoga into the limelight throughout Asia. 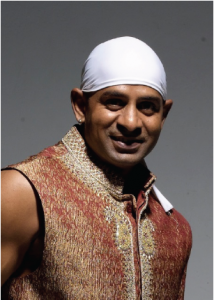 Master Kamal has contributed articles to International Yoga magazines, and have appeared numerous times on television network television network in Singapore, China, Taiwan, Bangkok and Hong Kong and in varied Newspapers and In-flight magazines like Discovery Magazines and the Silk Road. He Performed 60 hrs Yoga episodes on TV programmed “Yoga for All” that telecast in Vietnam, and been rated top with the highest viewers. He is the author of the books ‘’Yoga Sun’’ (English) and ‘’Andhra Ashtanga Yoga” (English) and Kriyoga Vata, Pitta & Kapha (in Thai) ’’ With all of his accomplishments, Master Kamal remains energetic and determined to assist people in gaining better mind and body health. With this as his goal, he is bringing his Kriyoga Lifestyle and Health discipline to the world Today, Master Kamal and Kriyoga are at the forefront of the World’s goal for better solutions to many physical, mental and emotional challenges people face today. The center offer’s Yoga Alliance International recognized teachers training certification courses in Himalaya Hatha, Kriyoga, Andhra Ashtanga, Restorative Yoga Course and Integrative Yoga Therapy etc., throughout the year.